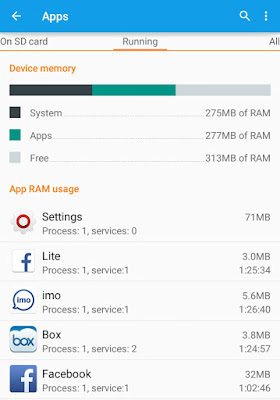 As like computers, Android also have separate reserved memory space which is named as RAM memory. It's used by Android system and apps. In other words, this is the place where system and all other third-party apps perform their work and save cached data. RAM is directly related to your phone performance. The more RAM space will be, the more fast and smooth your phone will work. Sometimes, you may want to find out the RAM memory size of your Android phone. This is what you're looking for here. Right? But before that, you should know about how this RAM works in Android so as to understand the performance of your phone. Here's a complete guide on this topic. 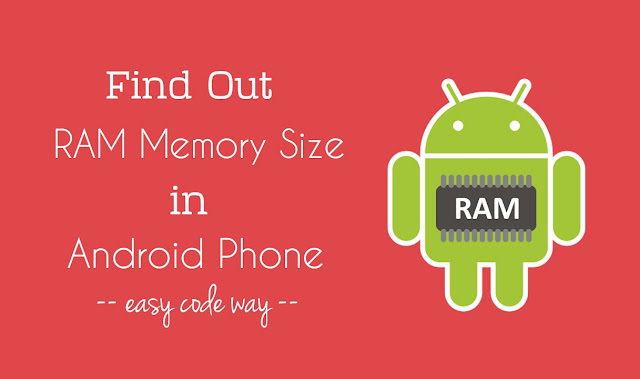 How Android RAM memory works? RAM stands for Random Access Memory. As name itself speak, this memory is randomly used by phone's system and apps. When you'll use any application (say photo editor or browser), it will save its temporary files (such as images, text or thumbnails) in RAM memory. Each app needs its own space to work. As soon as the operation is completed, app will automatically leave the RAM space and delete all its cached data. On the other hand, final data is saved in device's storage. For example, again in case of photo editor, the final edited photo will be saved in phone's Internal memory so that it can't be lost. The RAM is never emptied completely. Every time, some apps are working in background even when you're not using them. This is the reason why you get WhatsApp and Facebook push notifications when your phone is locked. While on the other hand, there are other applications which use RAM and save its cached data in it, but never delete them after use. That's the reason why Android phone run out of low RAM space. Due to which, it may start hanging, crash apps automatically and slow down the phone's speed and performance. To overcome this problem, you have to remove all cached data manually and force stop all those apps which are working in background. 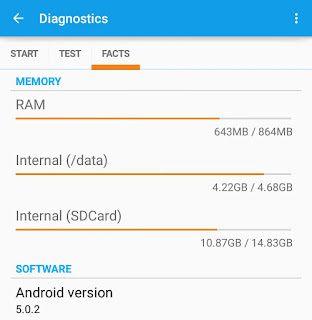 To find out the RAM memory size of your Android phone, follow these step-by-step guide. Scroll down and click "Apps". Now move to "Running" tab. Here you'll find all your RAM memory usage details. Free - This will tell you how much space is free. As already mentioned, Android system and some other apps always work in background. Every time, new things are added and deleted from RAM and that's why their usage fluctuate. If the system and apps usage will decrease, it will automatically increase the free space so as to keep the total size same and constant everywhere. Apart from this, there are number of third-party apps available on Google Play Store for free which can help you to find out your RAM memory size, but why to use them when we have other official and in-built tools. So use these methods only. Delete cached data: The first thing you've to do is to clear all your app cached data. To do this, go to "Settings > Storage". Now click on "Cached data" option followed by "OK" button and that's it. Uninstall or force stop apps: If some apps are working in background, either you can uninstall them (if they are not in use), or you can force stop them to work in background. Apps like Facebook, Instagram and especially news apps are the main culprit. They eat unnecessary phone memory and battery life. So it's better to uninstall them. Move data to the SD card: Although, Internal memory has no relation with RAM but if you'll move some of the data to your SD card, you'll find some boost up in your phone's performance. Delete browsing history: If your browser is too slow to load or if it hangs or crash after a long use, you can delete its browsing history (including cache and site cookies) to boost up some speed. So this is all what you need to know about Android RAM memory. If you've any doubts, feel free to ask me in below comment box. Stay tuned for more interesting tutorials.